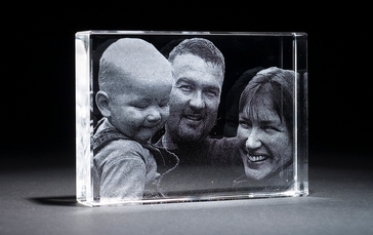 BLOK Portrait combines two patented technologies to craft unique portraits. 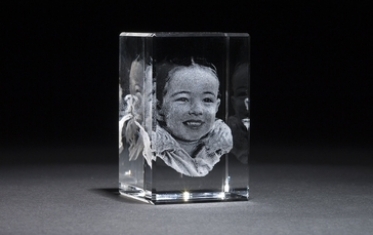 The first is a 3d digitising device that operates similarly to a camera to safely capture your image without physical contact in approximately one second using patterns of ordinary white light. 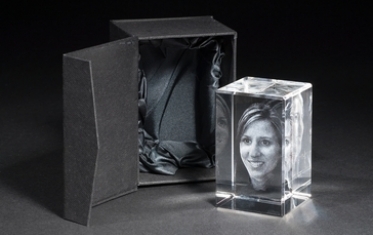 These patterns allow the device to create a 3d model of your face. This model is converted into a point cloud. Where there is shadow there are fewer points, and where the image is bright there are more. 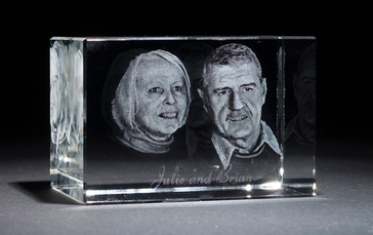 We can also do this from a photo, by hand using 3d modelling software. 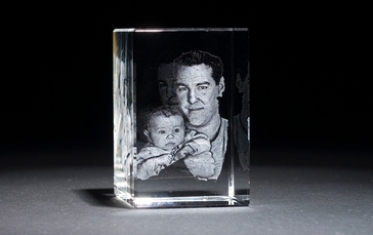 The next step is to have the point cloud engraved into the crystal. 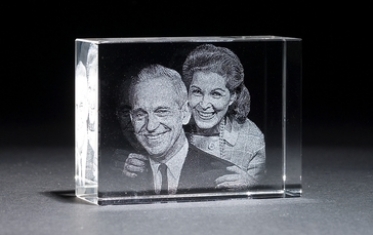 The image is sent to a powerful industrial laser that places thousands of points in solid crystal. 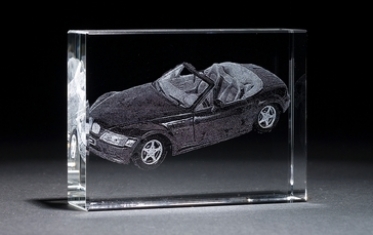 The laser crafts each point by focusing sufficient energy to make a tiny crack. It is these many thousands of cracks that faithfully recreate your image in 3d within the crystal. BLOK Portrait has been a proud sponsor of the Her Business Businesswoman of the Year Awards, 2007 and Bloom Her Business Awards 2008, 2009, and 2010. 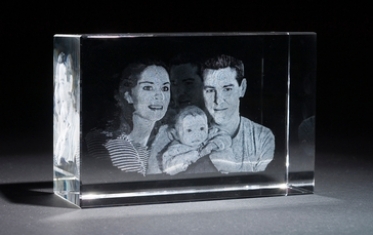 BLOK Portrait has proudly presented to SeniorNet, Manawatu Jaguar Club (Inc), and the Palmerston North Linux Users' Group, about the technology used in creating BLOK Portraits.